Lexington, KY - The city of Lexington was largely defined by the Alltech FEI World Equestrian Games in 2010, so it proved a fitting setting to crown the 2010 Farnam/Platform USEF Horse of the Year. 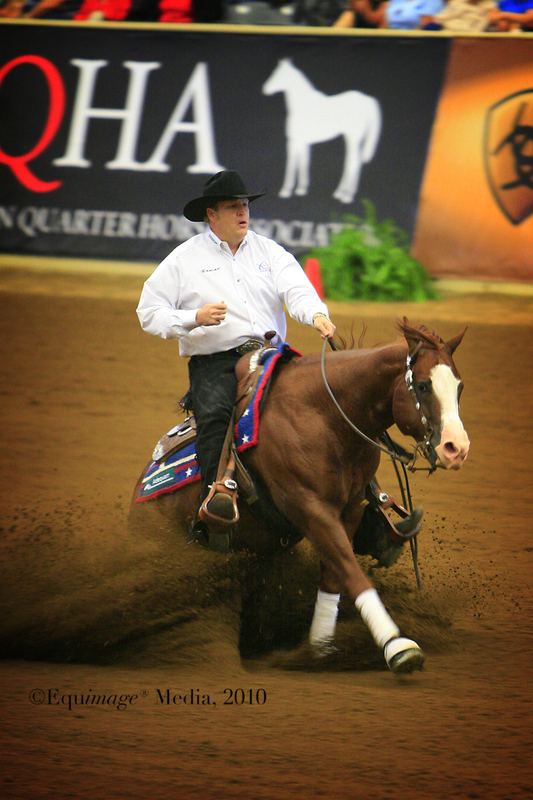 The only multiple Gold medal-winning horse for Team USA, Gunners Special Nite, a six-year-old American Quarter Horse brought the sport of reining to the forefront of the American equestrian community. People who had never heard of reining watched Gunners Special Nite put in a foot-perfect effort to cruise to victory with the Adequan U.S. Reining Team on NBC's Broadcast. The team won a Team Gold medal by the largest margin in history. But it was the Individual Championship where Gunners Special Nite stood out above the rest of the field. His performance with steely veteran Tom McCutcheon brought down the house in the Alltech Arena and secured Gunners Special Nite's place in the history books. Sarah B. Willeman of Turnabout Farm bought Gunners Special Nite just before the Adequan/USEF Selection Trials for the Adequan U.S. Reining Team which were held in July. McCutcheon had a big task at hand in his first competition, but the chestnut stallion with the big white face delivered - and was named Reserve USEF National Champion in the process of a runner-up finish in the Selection Trials. It was a hint of things to come; McCutcheon and Gunners Special Nite got to know each other a little bit better over the summer and over four days in Lexington, KY - a new World Champion was crowned. Willeman, who found her way to the Reining world after an injury to her back shortened her career in the hunter/jumper world, accepted the award on behalf of her horse and reminded a room full of horsemen and women that good horses and good horsemanship are universal. 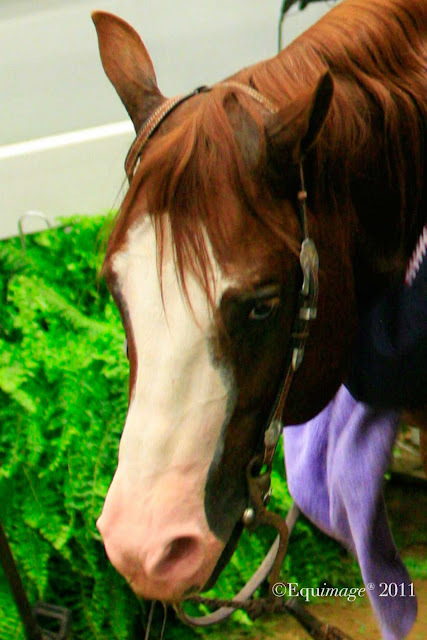 Gunners Special Nite had some tough competition for his final honor of 2010; the four horses that he went up against all dominated their respective breeds and disciplines. A diverse group of horses that ranged from all the dynamic animation of the Shetland Roadster Heza JackRabbit to the smooth brilliance of working hunter Lone Star, the record run of Arabian Afires Heir to the crowd-pleasing CHSprinkles, the USEF Horses of Honor delivered excellence across the country and across breed and discipline. Shirley and William Reilich's eight-year-old Arabian Stallion Afires Heir dominated the English Pleasure division in 2010, missing few opportunities to be crowned champion. He achieved a first in the history of Arabian horses: winning his fourth consecutive unanimous U.S. National Championship in four years (one as a junior horse and three in the open division). Heza JackRabbit enthusiastically proved that size doesn't matter. With his amateur owner and driver Michelle LeGrotte Barcus at the helm, the six-year-old Shetland/Roadster Stallion put on an impressive show whenever he entered the ring. A true showman, when the stakes were high, the energetic pony was at his best. He closed his career as a champion and will retire to stud in 2011 to pass his personality and gaits on to future generations. Lone Star is timeless. As he dominated the working hunter division up and down the East Coast, he evoked memories of show hunters from decades ago. He defined class and won from Ocala to Harrisburg, as well as picking up top honors in the Chronicle of the Horse/USHJA International Hunter Derby Final. With rider Hunt Tosh, Lone Star dominated for owner Dr. Betsee Parker. Always a crowd pleaser, CHSprinkles captured the hearts of judges and spectators alike at four major competitions this year where she won seven of the eight classes in which she competed. This Juvenile Five-Gaited mare and her petite 12-year-old rider, Eleanor Rainbolt-Forbes, ended the year with a win in their age division and the Juvenile Five-Gaited Championship at the American Royal Horse Show. With wins at the Lexington Junior League Horse Show and the Kentucky State Fair World's Championship Horse Show, the pair swept through what is known as the American Saddlebred Triple Crown. 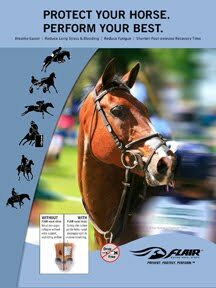 Dozens of champions were honored across the USEF's 28 Breeds and Disciplines, from jumpers to hackneys, vaulting horses to parade horses, the evening recognized the best horses from 2010. 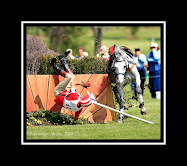 To learn more about the 2011 USEF Annual Meeting and view a complete schedule of events and award programs, visit www.usef.org.